After reading Gretchen Rubin’s The Happiness Project and Shawn Achor’s The Happiness Advantage, I started a gratitude journal because I realized that I was prone to what Shawn Achor describes as the Tetris Effect. He describes the Negative Tetris effect as when “our brains get stuck in a pattern that focuses on stress, negativity, and failure.” Being able to easily spot errors can be a good thing for some professionals, like accountants, tax auditors, and lawyers, but the negative focus can leak into personal lives and have significant consequences on health and relationships. 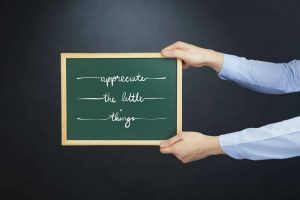 While many of us are probably mindful about being thankful during the Thanksgiving holidays, having a daily habit of writing down what we are grateful for can have a positive impact on how we choose to spend our time and money. Also, taking time to ask kids what they are thankful for can be a great reminder of the simple things in life that really matter. Bathtub…because if he didn’t have one, he wouldn’t be able to get clean. Music…because he can take music lessons and it makes him happy. Food…because he needs to eat. School…because he can learn new things. Homework…because it makes his brain smart. Car…because we can go places like the grocery store. Mommy…because if he didn’t have a mommy, he wouldn’t have been born. Daddy…because they watch football together. 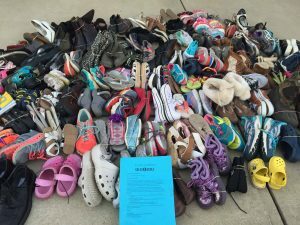 Inspired school shoe drive that collected over 300+ pairs of shoes for Soles4Souls. House…because it is cold in the winter. Pictures…because he can see photos of the family. Dishes…because we put our food on them. Mulch…for plants to make food. People…who have good brains and hearts to play together with. Salt…for our food to make it tasty. Trees…so we can make paper. Computers….so Daddy can work (and make money). In reading these two gratitude lists from a four-year-old and six-year-old, you can see how simple and basic their needs are. Often, we get too focused on upgrading to a bigger square footage house, but all kids care about is that they have a house to sleep in. We also take out loans to drive a luxury brand car, when kids just see a car as a way to get from Point A to Point B. If we take a minute to look at the world from a kid’s perspective, then how many of us would still take the kids to Disney World, knowing that it would have to go on the credit card and there isn’t an emergency fund? Or, how many of us would spend hundreds of dollars per month on our kids’ multiple after-school activities and sports, when we could have used that money to pay down debt that is causing stress and fights within our marriage? #1 – Write down 3 things that you are grateful for and why – get a journal and spend ten-minutes each morning before getting out of bed to write down three things that you are grateful for. Make sure to provide a brief description of why you are grateful for what you wrote down, and try to write down unique things to train your brain to constantly scan and look for the positives in life. 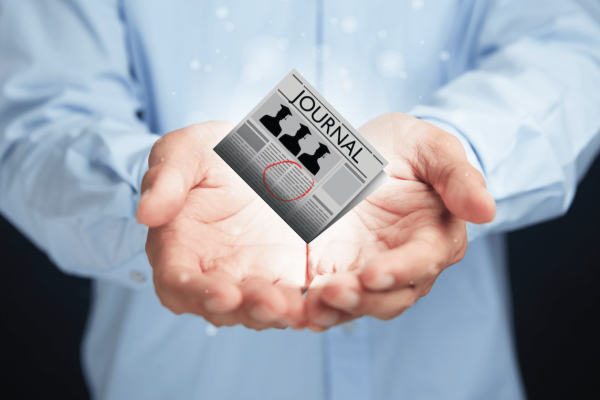 #2 – Write down 10 things that you’ve always wanted to do that will make you happy, feel financially secure, etc. and how much it would cost – If you have a spouse or significant other, do this exercise separately and then come together to compromise and prioritize to create a joint top 10 list. Put this list somewhere where you can see it daily and track how close you are to achieving your goals. Once you figure out your “why” in life, you have a bigger sense of purpose for your time and money. Then it becomes easier to say “no” to buying things or spending money on areas that don’t help you towards your goals. My clients’ lesson learned – When I did personal financial coaching, one of my first activities with clients was to do this goals exercise. My clients were often surprised to learn that their significant others had a completely different priority list of goals in life. It opened their eyes to why they had been fighting or getting stressed about money, and creating a compromised list of top ten goals allowed them to be clear on how they would spend their money. 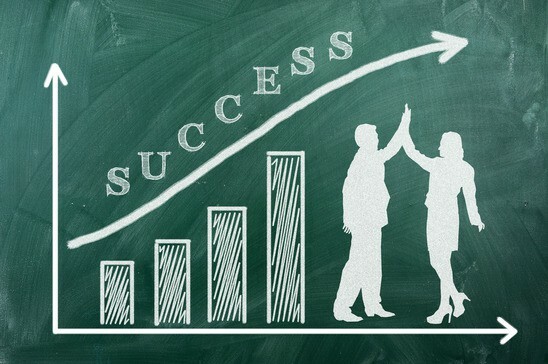 Success stories have included clients telling me that for the first time in their marriage, they were able to pay for a family vacation in cash; having a plan to pay off graduate school debt and car loans sooner than originally targeted during coaching; and finally starting the business they’ve always wanted. Today, I’m grateful for many things, including my readers, clients, and colleagues who have validated the need for my business and provided the feedback on the immediate change it’s had on their business and financial success. I am also extremely grateful to have colleagues in the FinCon community who believe in the abundance mindset, who support one another instead of seeing each other as competition. Find the people who will support you and push you to have a bigger impact in this world. Once you are working towards what you were meant to be doing in this life and surround yourself with others who will help you achieve it, I believe you will spend your time and money accordingly to create and protect this vision. 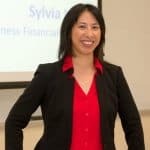 Great article, Sylvia! It is amazing how children are able to help us keep focused on what is important.